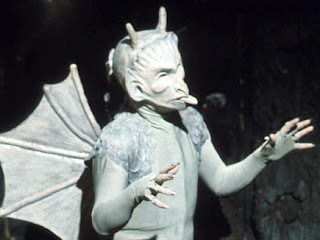 For me, The Daemons is one of the best, if not the best, Doctor Who story on offer from the Jon Pertwee era. I think the reason why this story is so popular is because it features everything that you would hope to find in a Pertwee story, UNIT, Jo Grant, The Master, a homely location and a big bad guy. The story does live up to all the hype that fans give it but as the fifth Master tale in a row, it can feel a little stale at times. 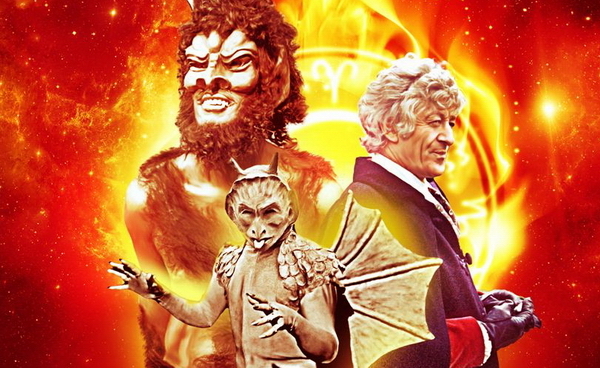 As well as being one of the ultimate Jon Pertwee stories, it is an ultimate UNIT story, giving them lots to do. We get plenty of helicopter chases, things exploding, people firing guns, beating people up, more from Yates and Benton than we have ever seen, the Master up to his usual tricks, Jo getting captured and offered as sacrifice and of course, the Brigadier delivering the ultimate line, "Chap with the wings there. Five rounds rapid." And the story stands up well on its own. You can watch it perfectly well on its own without prior knowledge to what had gone on before. We have some brilliant performances from Stephen Thorne (Azal), Damaris Hayman (Miss. Olive Hawthorne) and Don McKillop (Bert the landlord). There is also the great character of Bok, a gargoyle who comes to life and runs around the village terrorizing everything. And who cares if you can see it someone in a costume, the character is delightful and no doubt terrified little children. The final scenes caused some controversy when they blew up the village church. Obviously it wasn't a real church but people watching thought it was and rang into the BBC complaining. It just goes to show how much time changes, nowadays, no one would bat an eyelid at that! Really, the only problem here is the inclusion of the Master, who had appeared in every story in the 1971 series where this story is situated. His story feels exactly the same as the others and nothing new is done with him, except he gets an episode cliff-hanger all to himself. But the story is enjoyable, though it would have perhaps been better without the Master but actor Roger Delgado continues to steal every scene he is in and reminds us why he was and always will be, the perfect Master. A lot of people complain about the ending of this story and yes, it does feel a little rushed. A lot of people have a problem with Jo's willingness to lay down her life for the Doctor. I don't understand why. Of course she would be willing to lay down her life, it was totally in the realm of possibility for her character to do this and save the world from the terror of Azal. In no way does this feel like a copout from the writers who wanted the wrap up the story quickly. To me it feels like the right way to finish this adventure. As we know from any horror film featuring the devil or some sort of demon, it is always the most selfless person who saves the day because they have a good heart. And Jo had a heart of gold. Something else this story does well is that the opening episode is done mainly like a news report. It is the sort of thing you would expect to see nowadays but it goes to show the leaps of bravery the producers at the time undertook and how they ultimately paid off. It also gave another example of how Doctor Who can predict the future by making the channel the news report was being shown on BBC3. At the time BBC3 didn't exist and it is odd how, watching this story in 2016, it makes BBC3 seem like such a futuristic concept! But what really makes this story work is the isolation of the town and just how cut off from the rest of the world it really is making it the perfect place for people to try and raise the devil. The story suffers slightly from the inclusion of the Master but that is only because it is the fifth story in a row he has featured in. The story works completely fine when you watch it on its own. 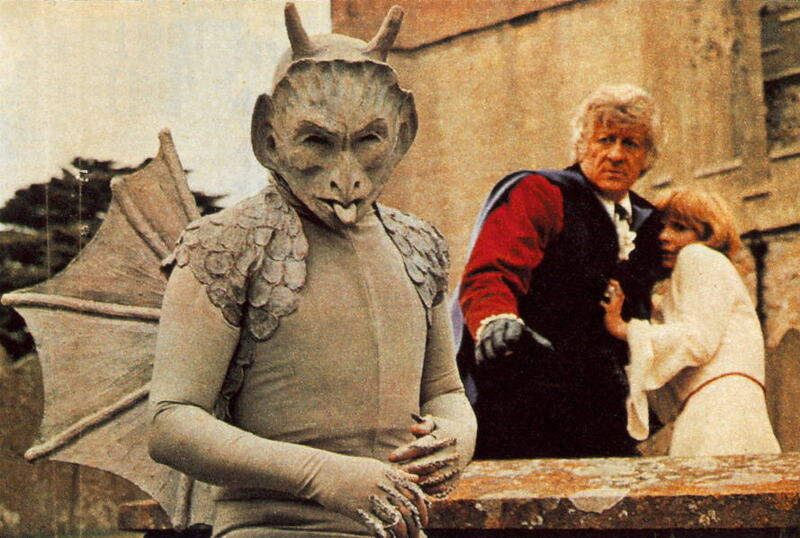 But nothing can change the fact that this is one of the best Pertwee stories and one of the best stories from the classic series. Hell, I would even say one of the stories from the entire show!